Music is one of the centers of life in all our neighborhoods here at Cedar Hill, but even more so in our Memory Care Facility in Vermont, where music seems to reawaken the inner spirit in residents with cognitive decline. That’s why we are so very grateful to have received an incredibly generous gift of music in March in the form of enough iPods for every resident in our Judith Brogren Memory Care unit! For several years now, Cedar Hill been registered as a certified partner with the Music & Memory℠ Program that trains care professionals to set up personalized music playlists for Alzheimer’s and dementia patients. We have had the program in place in our Nursing Home’s “Teddy’s Place” Memory Care unit since 2015, and had been searching for donations of used iPods for use in our Judith Brogren Memory Care in the Village, which also opened in 2015. According to famed Neurologist Oliver Sachs, “Music evokes emotion, and emotion can give access to memories. It brings back the feeling of life when nothing else can. 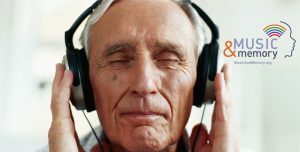 “Pairing music with everyday activities may enable patients to develop a rhythm to recall the memory of that activity. Musical aptitude and appreciation are two of the last remaining abilities in dementia patients. These two abilities remain long after other abilities have passed. Music is a path to reach beyond the disease and reach the person. Music can bring emotional and physical closeness. Dancing leads to touching and hugs, which brings security and memories. Dementia patients often lose the ability to share emotions with family, friends, and caregivers. Singing sessions, in various studies, have been shown to engage more than just the brain in the area related to singing. Singing activates the left side of the brain, while listening to music sparks activity in the right side of the brain. Visual areas of the brain are also activated by watching others singing. With so much of the brain being stimulated, patients exercise more mind power than usual. “For those who love music and have advanced dementia, the music and memory programs brings them so much joy. They can listen to the music that means a lot to them personally and evokes happy memories and the joy of dance,” said Patricia Horn, Community Executive Director. Wait a minute, how is Elvis Costello involved in all this? Back in 1989, Elvis Costello and Paul McCartney co-wrote Costello’s single “Veronica,” a song about Costello watching his grandmother suffer from Alzheimer’s and dementia, wondering if it was at all comforting to her to be trapped in her memories. This past winter in an interview with Rolling Stone Magazine, Costello called the song “a wildly hopeful song about a dismal subject.” Earlier this year, Costello made a PSA for Music & Memory, a charity that helps people suffering from Alzheimer’s and dementia by playing them personalized playlists of songs that could trigger memories. Dan Cohen, the charity’s founder, has learned that people suffering from degenerative memory disorders can react to their favorite songs in ways that they can’t react to much else. Cedar Hill is one of only a handful of Memory Care facilities in Vermont who is certified in the Music & Memory℠ Program, and had been in search of used iPods for use in the Judith Brogren Memory Care Center. As a result of Costello’s Rolling Stone interview, the generous donors (who have asked to remain anonymous), who were searching for a worthy cause in the Upper Valley, found us and donated brand new iPods and headphones for every resident in the unit! “I was sitting at my desk when I received a call about Music & Memory,” says Barb Flinn, Activities Director at Cedar Hill. According to Flinn, the caller, who wishes to remain anonymous, explained that his wife was a local Alzheimer’s fundraiser, whose mother was diagnosed with early onset Alzheimer’s at age 62, and suffered for 17 long years. She traveled from NH to CT to visit her mother every month for all those years until she passed away. Heartbroken that she couldn’t do more for her own mother, and determined to turn something so negative into a positive, she began raising money for local Alzheimer’s causes, including organizing local marathons, volunteering, and providing gifts to area Alzheimer’s organizations. 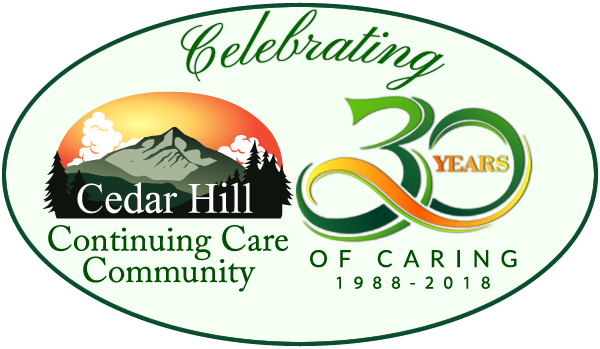 When the caller saw the article in Rolling Stone, he mentioned it to his wife, who loved the idea of Music & Memories and reached out directly to Director Dan Cohen to see if there were any local facilities participating in the program that they could donate to – and that’s how they found out about Cedar Hill. 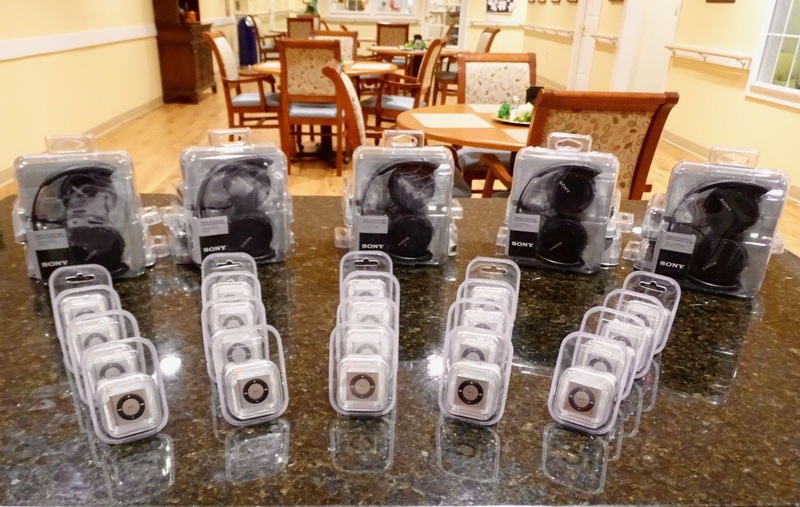 The anonymous donors delivered their generous gift of 20 brand new iPod Shuffles and wireless headphones in March, and were treated to a special lunch with the staff, along with a certificate of appreciation, a tour of the Memory Care Center, and a handmade thank-you-card signed by all the residents. “The kindness and generosity afforded to our residents is beyond words. This will enhance their daily lives in ways we truly can not understand. There are no words to fully describe my thanks and gratitude….thank you doesn’t seem to be enough”, said Cathy Connors, Nurse Manager of the Judith Brogren Memory Care Center at Cedar Hill. In a further streak of good luck associated with Costello’s PSA and interview, another couple stepped forward at the same time to donate their time and equipment to customize every iPod with the music playlists that had been provided by the residents’ families. Jeanne and Michael Shafer are active community volunteers who had also been searching for a worthy local cause when they also heard about the Elvis Costello article, and they, too, found Cedar Hill through the Music & Memory website. The couple came to The Village, where they were also given a tour and a chance to meet the residents. Michael Shafer, a retired dentist, has an extensive music library and the necessary equipment to customize each iPod, and his wife Jeanne is working to become certified in the Memory & Music program and will bring her knowledge, energy, and organizational skills to help administer Cedar Hill’s program. According to Jeanne, her “Eureka moment” was during a class on using arts in palliative care, seeing the film “Alive Inside” and realizing music’s capacity to reawaken our souls and how its healing power can triumph where prescription medication falls short. The time-consuming process is an on-going effort. In the meantime, the Memory Care Center is being fitted with charging stations and headphone hooks. “We have been extremely fortunate to receive both the iPods and headphones, as well as willing hands to install the songs so our residents in Memory Care can listen to individual music that will bring them joy. This is truly a gift of love,” says Sue Spadaro, Executive Director of The Village at Cedar Hill. Everyone at Cedar Hill is deeply humbled by the generosity of all our donors and are proud to be a part of this wonderful program to help our residents reconnect to the music they love. To learn more about the Music and Memory Program, visit www.musicandmemory.org. Here’s a link to our featured story in the Burlington Free Press’ Brain Awareness Month Special Section (see page 26).